Required to adapt the T-lock connection to MC4 on Upsolar panels ONE PAIR of Adapters per string planned. 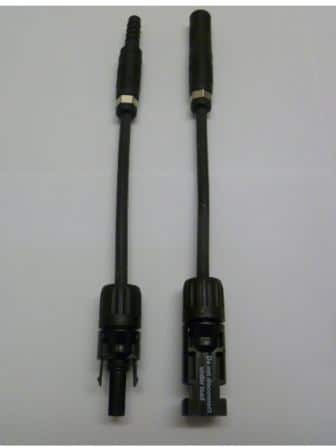 This product comes in pairs – One Female connector, One Male. Upsolar provides industry-leading product coverage for all its modules to ensure customers achieve superior long-term value from their solar installations# In addition to a 10-year product warranty, which covers unanticipated module damage, Upsolar offers a 25-year performance guarantee, the Reinforced Module Warranty, Added to this, Upsolar Modules have a number of Unique USP’s including extra third party Warranty Assurance given by Powerguard, modules tested in the Upsolar Laboratory to twice the Environmental requirements of the industry standard, Further, Upsolar’s modules continue to shine as one of Photon’s Laboratories Top performing modules.